Well, as Jeremy put so well in words this book is all about cups. When you say it like that, it sounds odd or even boring but to be honest, this book has a charm to it. This book is dedicated to random cups that were left in the street. 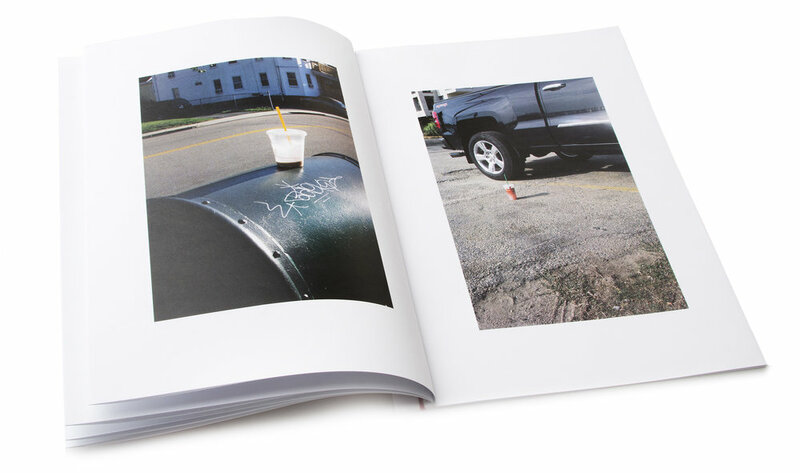 In this typological book, Jeremy has wondered the streets to capture something so mundane yet so important to our lives. These cups are little memories of people who used them in the small scale, but on a larger scale they could become a metaphor to our society as a whole. Plastic. Plastic is the common feature these cups have, and we can all agree that this is a conversation regarding our earth pollution. We consume millions of tons of plastic all over the world. Plastic, although a huge industrial revelation has also started to impact not only our planet but our lives. These cups become a reminder of our consumer lives. We buy and are a part of this global spending of money, goods and products. These cups could in someway be a portrait of the person drinking it – as it, in some way, has also become a status symbol of our culture. Jeremy has created a small, amusing and interesting hand made book. Using photography, great compositions and lighting, Jeremy captures beautiful images of a mundane object - Cups. These images are great and all together as a book; they create a great little visual story. I would have loved to have even more images ad pages of this book – more cups! A great part of this book is the fact that it is hand made by the artist himself. I think when photographers do zines/books themselves it gives it a personal touch to it. It is not always about large productions, but the simple projects that are heart warming and beautiful. This little gem is Only $12 so please take a moment and grab a copy for yourself here. Jeremy created more zines and books, so make sure to check his entire collection!